Mexico City is a capital that is full of contrasts. Tourists usually either immediately like it or reject it, and have a desire to leave the city as soon as possible in order to move to a quieter place. Magnificent buildings and museums are mixed here with slums full of poverty, old churches and green parks that seem to spread peace border with lively and too noisy streets. In short, the word "special" fits Mexico the best. This is a special, charming and very versatile city. Castillo de Chapultepec was built between 1780 and 1790 on the site of an Aztec fort. The castle provides beautiful panoramic views of the city. The gardens that surround the castle are designed by Empress Carlotta herself. Initially, the building was occupied by Military Academy, and then it served as an official royal residence. In 1939, by order of President Cardenas, the castle became the location of the National History Museum (Museo Nacional de Historia). Castillo de Chapultepec has been recently reopened after two years of a thorough restoration that included not only the structure of the building, but also its inner premises. According to a legend, Basílica de Nuestra Señora de Guadalupe was built on the site, where a man named Juan Diego had a vision of the Virgin of Guadalupe in 1531. The local priest Friar Juan de Zumarraga was initially skeptical about the man’s claim and demanded a proof. The Blessed Virgin came to Diego for the second time, and her image miraculously imprinted on Diego’s cloak, and the firewood he had gathered turned into roses. 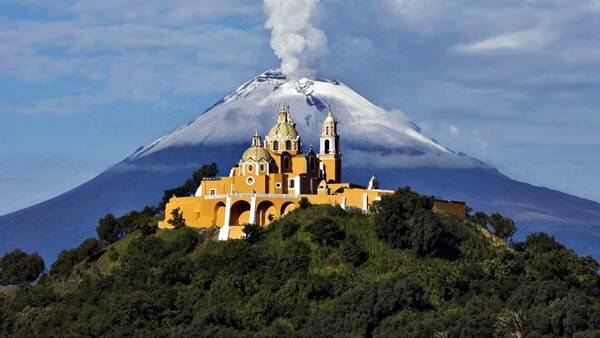 After this magnificent vision a church was built on the site of the event on top of Tepeyac hill. The church is dedicated to the patroness of Mexico, Immaculate Guadalupe. During many centuries that little church attracted so many pilgrims that it was decided to replace the church by a basilica. The basilica was designed by Pedro Ramírez Vázquez, the architect who built the National Museum of Anthropology. The magic cloak is kept in the basilica, in a glass case behind the altar. Museo Nacional de Antropología opened its doors in 1968. This is one of the best museums of its type. The entrance to the museum is decorated with a giant figure of the Aztec god of rain Tlaloc. The weight of the figure is nearly 200 tons. Archaeological finds occupy 11 halls of the museum. Here visitors will get an idea how ancient civilizations that existed in the territory of modern Mexico lived. The cafeteria of the museum deserves a special attention. It often hosts live music performances, during which musicians use replicas of prehistoric musical instruments. The construction of the Palace of Fine Arts (Palacio de Bellas Artes) was started in 1904. The palace was built on the ruins of the Monastery of Santa Isabel. According to the plan, the grand opening of the palace was to be held on the day of the 100th anniversary of Mexico's independence from Spain. However, the project, led by the Italian architect Adamo Boari, faced serious difficulties due to instability of the soil on the site. Time passed, the revolution started, and the building of the palace was finished only in 1934. 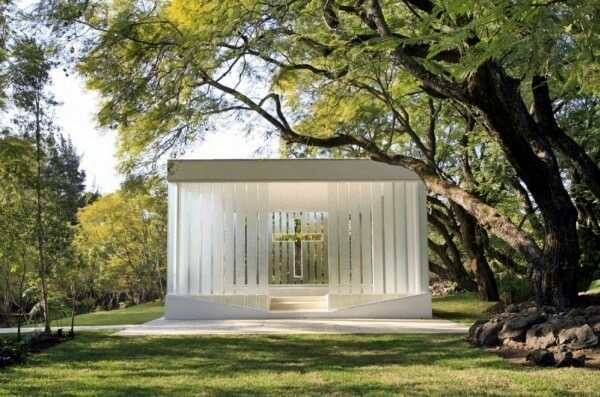 At that time, the project was headed by the architect Federico Mariscal. Therefore, there’s nothing surprising that the marble facade of the building, made as a combination of the neoclassical style and Art Nouveau, contrasts with interior that is made in the art deco style. Fans of art will be definitely not disappointed by murals made by Rivera, Siqueiros, Orozco, Tamayo and Montenegro. The glass curtain by Tiffany also deserves a special attention. The curtain is made of almost a million parts. Modern Mexican landscape painter Dr. Atl used them as a canvas and drew volcanoes of Mexico on the curtain. Xochimilco Canals were built by the Aztecs for agricultural purposes. This technique helped the Aztecs to create one of the most developed cities, the capital of the country named Tenochtitlan. Xochimilco canals are one of the most popular tourist destinations. Coasts of the canals are dotted with houses and docks. This place is especially crowded on weekends. Many Mexican families and tourists enjoy hiring boats that come together with music and food. The National Palace (Palacio Nacional) was built by Hernan Cortes, the conqueror of Mexico. The building that visitors can see today was built in 1693. In 1920 one more floor was added to the building. The National Palace is well-known primarily for its amazing collection of murals by Diego Rivera. The most famous fresco is a giant work "The epos about Mexican people and their struggle for freedom and independence" that exposes the two thousand year history of Mexico. The palace also hosts a small museum dedicated to Benito Juárez and the Mexican Congress. Entrance to the palace is free. This guide to iconic landmarks and sights of Mexico City is protected by the copyright law. You can re-publish this content with mandatory attribution: direct and active hyperlink to www.orangesmile.com. Check on the map: Distance from Mexico City center - 56 km. Check on the map: Distance from Mexico City center - 55.3 km. 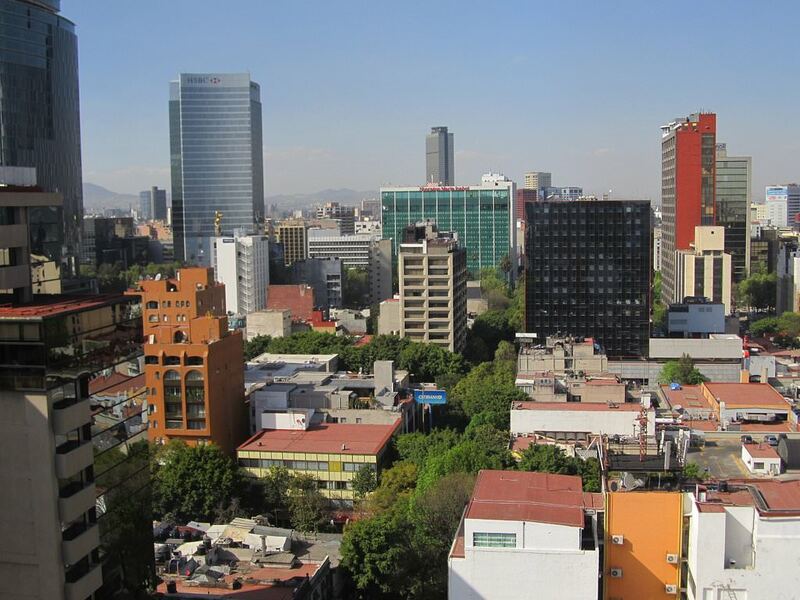 All about Mexico City, Mexico - sightseeings, attractions, touristic spots, architecture, history, culture and cuisine. Prepare your trip together with OrangeSmile.com - find out the 'must see' things in Mexico City, which places to visit, which excursions to take, where the breathtaking views are waiting for you. Planning your trip with this travel guide will help your to get the most out of Mexico City in few days.